Nineteenth century London is the centre of a vast British Empire. Airships ply the skies and Queen Victoria presides over three-quarters of the known world—including the East Coast of America, following the failed revolution of 1775. London might as well be a world away from Sandsend, a tiny village on the Yorkshire coast. Gideon Smith dreams of the adventure promised him by the lurid tales of Captain Lucian Trigger, the Hero of the Empire, told in Gideon’s favourite “penny dreadful.” When Gideon’s father is lost at sea in highly mysterious circumstances Gideon is convinced that supernatural forces are at work. Deciding only Captain Lucian Trigger himself can aid him, Gideon sets off for London. 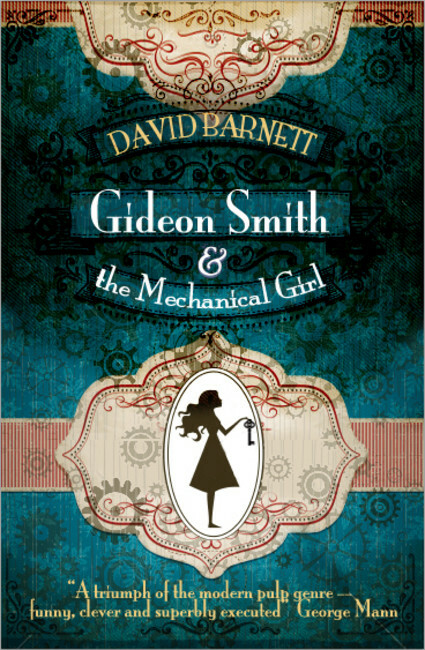 On the way he rescues the mysterious mechanical girl Maria from a tumbledown house of shadows and iniquities. Together they make for London, where Gideon finally meets Captain Trigger. But Trigger is little more than an ageing fraud, providing cover for the covert activities of his lover, Dr. John Reed, a privateer and sometime agent of the British Crown. Looking for heroes but finding only frauds and crooks, it falls to Gideon to step up to the plate and attempt to save the day...but can a humble fisherman really become the true Hero of the Empire?